Descemet Membrane Endothelial Keratoplasty (DMEK) is now becoming the popular form of endothelial keratoplasty using only donor DM with healthy endothelium as true component lamellar corneal surgery. To analyze the results of visual outcomes, endothelial cell loss and complications of Descemet membrane endothelial keratoplasty in first consecutive 100 Indian eyes. 100 eyes of 95 consecutive patients with endothelial dysfunctions of different etiologies scheduled for DMEK, were included in this study. In each case, surgeon prepared tissue using McCarey Kaufman medium- or Cornisol-preserved donor cornea with a cell count of ≥2500 cells/mm2. Surgical complications, Best Spectacle Corrected Visual Acuity (BSCVA); Endothelial Cell Density (ECD) and Endothelial Cell Loss (ECL) were analyzed for each patient after a minimum follow-up of three months. The Main indication was pseudophakic corneal edema or bullous keratopathy in 52 (52%) eyes. 38 (38%) eyes had Fuchs′ dystrophy with various grades of cataract. 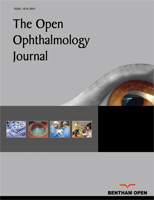 In 43 phakic eyes, DMEK was combined with cataract surgery and intraocular lens implantation. Mean DM-roll preparation time was 7.5 ± 2.8 min and in 3 eyes, DM-graft were damaged. After 3-months, BSCVA was ≥20/25 in 57 (57.6%) cases. Mean ECD was 2123 ± 438/mm2 (range: 976 - 3208/ mm2) and the mean endothelial cell loss after 3-months was 26.92 ± 13.40 (range: 4.90 - 66.6%). Partial DM detachment occurred in 8 (8.0%) eyes and rebubbling required in 4 eyes. Iatrogenic primary graft failure occurred in one eye. Descemet membrane endothelial keratoplasty is a safe and effective procedure in several types of endothelial diseases among Indian patients with encouraging surgical and visual outcomes. Complications are less and endothelial cell loss percentage is acceptable. Keywords: Visual Outcomes, Descemet Membrane Endothelial Keratoplasty, Surgeon’s prepared tissue, MK medium preserved-cornea, Cornisol-preserved cornea, Indian Eyes.